Mincing no words, the PM went on to add that people who have supported the wrong-doers and acted against the country will be taken to task. 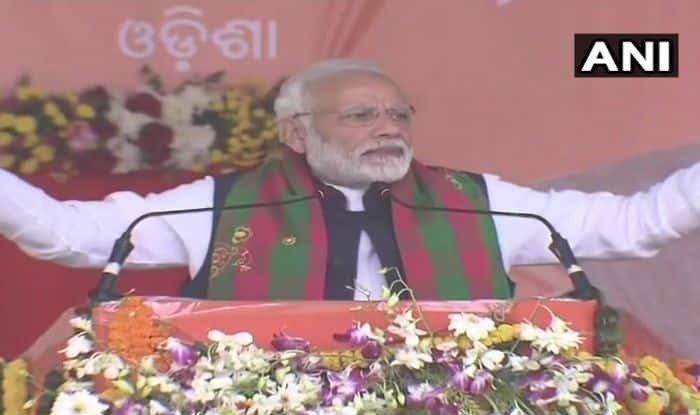 Baripada (Odisha): Prime Minister Narendra Modi who is in Odisha to inaugurate a slew of projects, attacked the Congress while addressing a rally in Baripada and said it isn’t easy to comprehend whether the grand old party was running the government or advocating on behalf of Christian Michel– the middleman accused in the AgustaWestland case. Prime Minister Narendra Modi laid the foundation stone for four- laning of various national highway projects, in Baripada. The national highway projects which were inaugurated included the four-laning of Rimuli-Koida section of NH-215 (new NH-520), four laning of Koida-Rajamunda section of NH-215 (new NH-520) and four-laning of Singara-Binjabahal section of NH-6 (new NH-49) at an estimated cost of Rs 3,318 crore.